Solskjaer has led United to 10 victories in 11 unbeaten matches under his management since succeeding Jose Mourinho until the end of this season. Paris Saint-Germain visit Old Trafford in the last 16 of the Champions League on Tuesday, with a trip to Chelsea in the fifth round of the FA Cup and a Premier League home match versus title-chasing Liverpool to come before the end of the month. 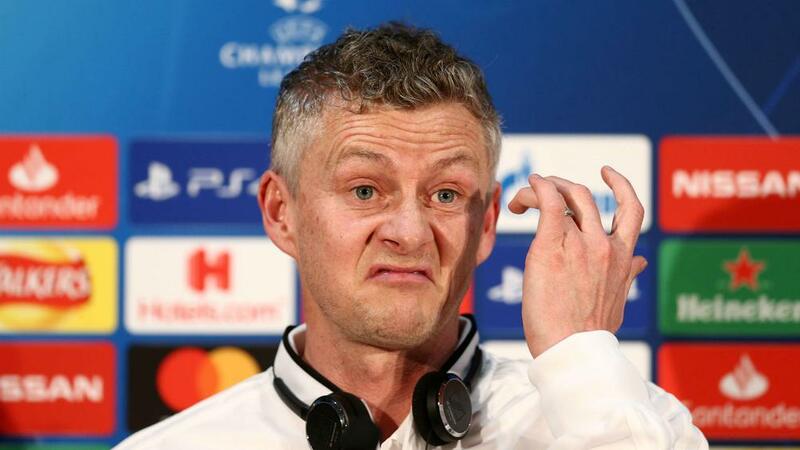 Success in those fixtures would be seen by many as a water-tight case for Solskjaer to become United manager on a permanent basis, but he told a pre-match news conference he does not view the matter in such straightforward terms. "Yes, it's too simple [to say that]," he said, a chuckle belying an apparent weariness over the topic. "You need to change the script now. There's still a few more months left of this season to do whatever we need to do." Solskjaer was contrastingly enthused when addressing the type of fixture he typically revelled in during his playing days under Alex Ferguson. "The supporters and players have been looking forward to these nights because they are special," he said. "My last one was when we beat Roma 7-1 [in 2007]. I came on. It was a typical Old Trafford night. "We lost 2-1 away from home but the manager was so happy. He was so confident in our ability. We just want to go into this game confident and raise our game." Edinson Cavani is expected to join Neymar on the sidelines for PSG, heightening the sense of a tie very much in the balance. Nevertheless, Solskjaer believes Thomas Tuchel's men now possess an element of surprise and represent a stern test to his in-form side. "Of course any team that are missing players like Neymar, Cavani and [Thomas] Meunier will feel the effect," he added. "But that gives the other players a chance. It makes it more unpredictable for us [to know] who they are going to play. "When you see them over the season you know what to expect. This time around we are guessing a little bit how they are going to come and play. "But we've got a good guesstimate on how they are approaching this game."